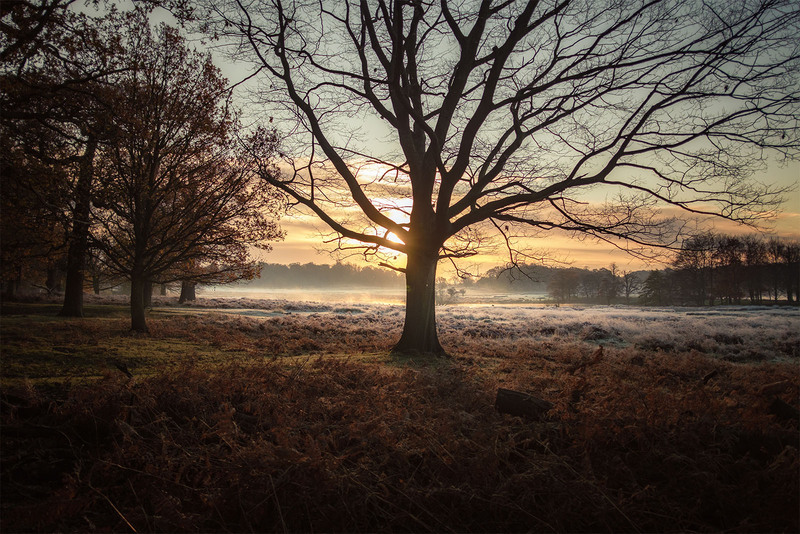 November came and went in Richmond Park with an explosion of autumnal colour and misty, unforgettable sunrises. 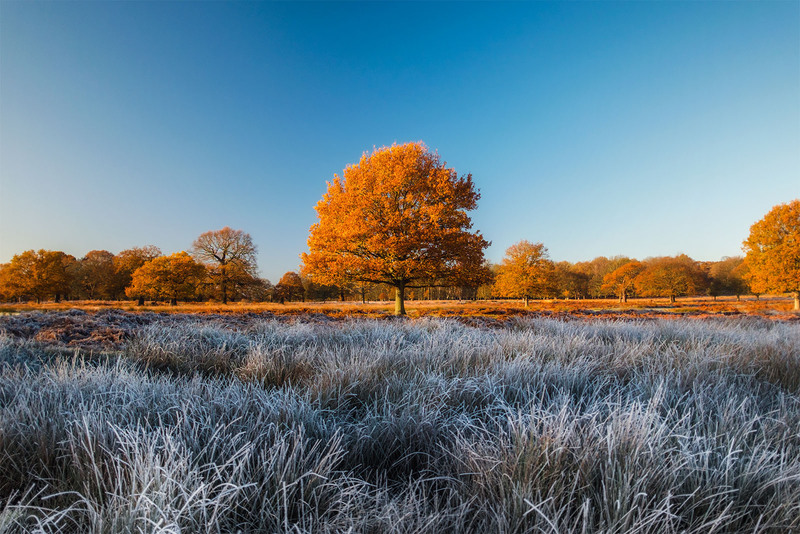 Now, as December begins, winter has some startling seasonal changes in store for visitors and photographers alike. 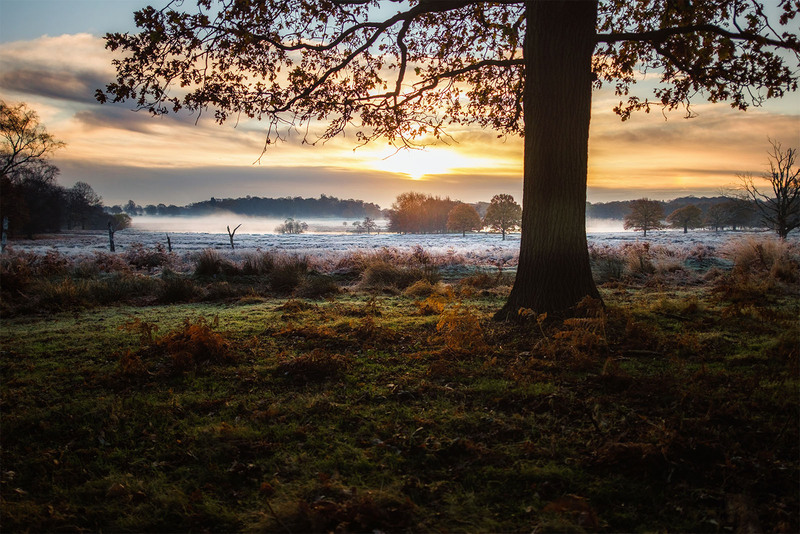 Visiting Richmond Park at any time of the year offers the chance to experience some of the best views this magical Royal Park has to offer, but winter is a particularly rewarding time for photographers. Though a full blanket of snow can be rare in London, the regular frosts and freezing fog transform the landscape into a wonderland of gleaming, sparkling ice. In December and January the clear, hard light brings natural contrast to the softness of the frozen landscape. Stripped of leaves trees reveal their naked branches creating twisty, silent silhouettes. As ever the deer are here, huddling for warmth in the mist, patiently waiting for a glimpse of the sun to warm their hides. At this time of year the colours of spring can seem a lifetime away. Yet, photographers shouldn’t dismiss the winter months. There are plenty of opportunities to capture the seasonal changes, if you’re willing to brave the cold. If you’re planning a visit check out my guide for photographers to help you get the most out of your visit.